Have you been inspired by The Block and Grand Designs and harbour dreams of buying a rundown property, preferably in a good neighbourhood for below market price, and transforming it into your dream home? Anyone who’s ever tackled a renovation project will tell you renos always take longer than you expect. 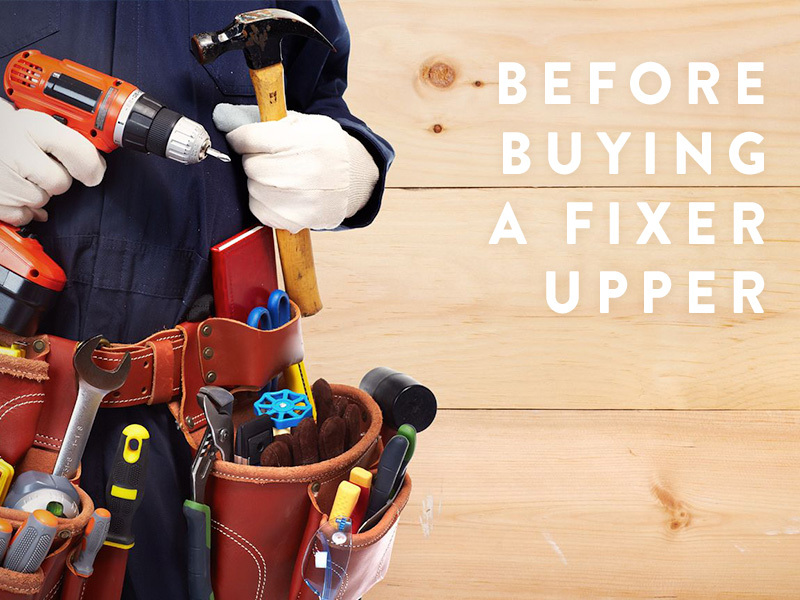 Overhauling a fixer upper is at the extreme end of the spectrum, so first up you should realistically assess whether you have the time to take on the task. Structural issues can quickly blow out your budget and turn the property from a potential fixer upper to a condemned knock down. Invest in a pest and building inspection – if structural issues exist and you decide to proceed, you can use the report to negotiate a better price. "To get a realistic idea on a budget, it is best to contact your tradespeople, most importantly your builder, It’s easy to underestimate the work involved when you are not in the industry.” And be honest with yourself: Is the cost within your budget? A factor often overlooked in most renovations is where you and your family will live during the process. If you’ve sold your previous home, you will have to consider renting – and add the cost to the overall budget – or moving in with family, which may raise its own issues. Renovations and stress seem to go hand in hand. To minimise stress, establish a good working relationship with your builder and maintain an open communication throughout the process. Despite your meticulous planning, be prepared for things to go wrong and set aside a contingency fund to deal with it. A 10% contingency in your budget usually covers unforeseen costs. Whether you intend to keep the property or sell it down the track, it’s wise to ensure you don’t overcapitalise or create a home that is completely out of step with what buyers in the area are prepared to pay for. Consult a local real estate agent to ensure your plans for the property are in keeping with what buyers expect.